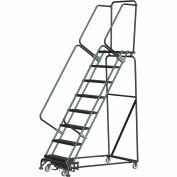 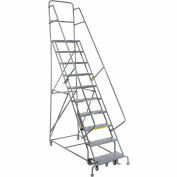 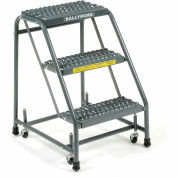 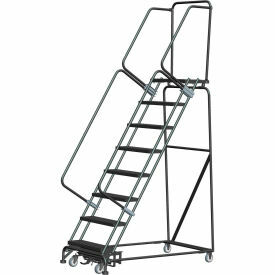 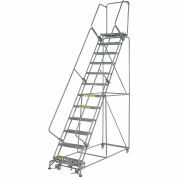 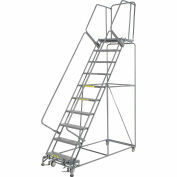 Ballymore's rolling ladder enhanced with the patented weight actuated safety lock step. 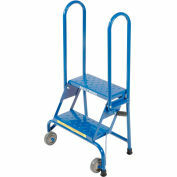 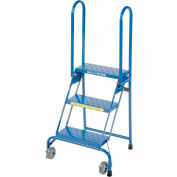 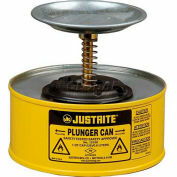 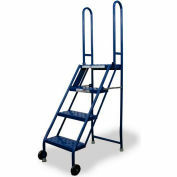 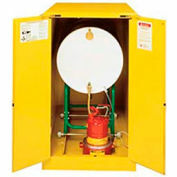 This state of the art lockstep has only one pedal which lifts the ladder into the locking position. 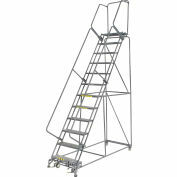 Climb the ladder and your weight activates the lock step, locking the ladder to the floor in climbing position. 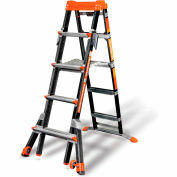 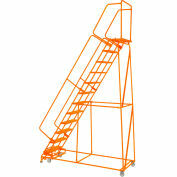 These ladders feature steel construction for durability. 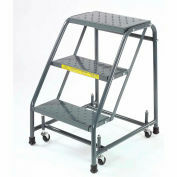 Ladders are rated to hold up to 450 lbs. 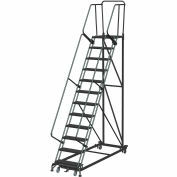 Note: Cal-OSHA Kit model 607401 must be ordered at time of purchase if shipping to the state of California in order to be OSHA compliant. 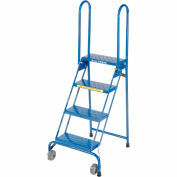 HEIGHT TO TOP STEP/PLATFORM RANGE120"-131"